Since passing my test over 10 years ago I’ve always favoured running an older (10yo or more) car over buying younger cars with the help of finance deals. While tooling around in a new/nearly new and shiny motor does have a certain appeal, the promises of trouble free motoring soon evaporate when concentric slave cylinders, DPFs, DMF and various other acronyms start to fail not long outside of the manufacturer’s warranty period. These bills can easily dwarf the value of a 10 year old car. Modern car designs rarely show their weaknesses until they’ve spent at least five years in the hands of everyone from fleets to farmers. 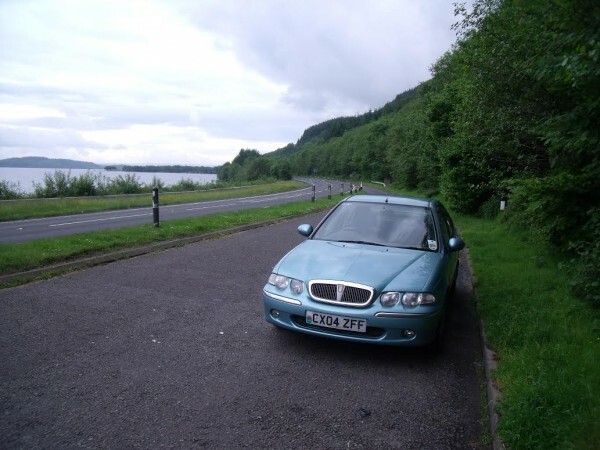 By 10 years old the design is well proven and is usually a known quantity in the aftermarket with solutions developed to sort out the common foibles.My own 10 year old motor is a 2004 Rover 45 1.4 hatchback, bought at 8 years old with 55k on the clock for around £900. The car is nothing much to look at, being tidy rather than concourse (and not well looked after by the owner!) but mechanically it’s a solid little performer. The K-series engine is widely maligned as a fragile unit by the uneducated, meaning that those in the know and that are handy with the spanners can pick up real bargains. As long as a K-series hasn’t been overheated then most head gasket failures can be easily and permanently cured. Indeed some head gasket “failures” are in fact misdiagnosed, and may in fact only be a leaking inlet manifold gasket or failing water pump. Even if the worst happens changing the head is not a difficult task for a competent home mechanic. The rest of the car is remarkably trouble free. The suspension system is pure Honda double wishbones all around (providing a good balance between road holding and ride comfort). The braking system is shared with the 25, ZR and ZS and is very simple and robust.Performance and handling is at a level that can be expected of a mid size hatchback. The 1.4 engine is eager to shift the bodywork and the Getrag/Ford IB5 gearbox fitted to late 45s has a light, direct gear-shift. My previous 1.8 45 was geared for cruising and could munch the miles with ease, the 1.4 however has to make do with lower ratios which do increase noise somewhat. It’s far from being a buzzbox however; a 1,200 mile road trip around Scotland was dealt with in reasonable comfort and with a good turn of speed. The 2.0 diesel model is by far and away the best for economy, but with some trade-off in refinement. The interior on these later 45s is not as plush or well appointed as earlier models. The classy wood inlays on the doors are gone, and the wood itself is now plastic fake rather than the original veneer. The seats are supportive and very comfortable (having been taken from the 75) but due to their bulk rear legroom suffers badly. The boot is a decent size and is easy to load. Of course if all of this sounds a bit homely and boring to you then you can of course opt for the MG ZS. The ZS takes all of the practical strengths of the 45’s platform and adds the spice of the brilliant KV6, a fine chassis setup and all the in your face styling you could wish for. The real benefit of driving a 10 year old car is that servicing is a simple and easily performed task. An annual service on a 45 is easily carried out with no special tools by any home mechanic or garage. There’s no service indicator to reset, no racks of manufacturer’s tools and specialised oils and the electronics that are used are proven and reliable. Most problems you’ll encounter are easily researched online and are usually a cheap fix. Downsides? Well you’re not going to impress the neighbours with a 10 year old 45 (if you’re in to that sort of thing). Any 10 year old car is at risk of the dreaded tinworm (45s tend to go at the jacking points and rear arches) and while there are plenty of tidy examples around, there are many that are abused hacks filled with K-seal and will be troublesome. MG ZSes are now easily within the budget of the “Barry Boys” meaning that you must be discerning when choosing one. At the end of the day, a 45/ZS is a simple car for not a lot of money. Sort the engine out and you’re left with a reliable, comfortable and practical cruiser. Get a ZS and you get all of that and some serious fun in the lanes. Next Guest Blog: Glad Jags or Sad Hatch – The figures add up!